The world needs more Childbirth Educators, Birth Doulas, and Postpartum Doulas who value compassion, collaboration, and choice. We need your help to enroll 20 professionals in an ICEA Certification Program. Your generous donation will allow us to award scholarships to individuals who want to turn their passion for family-centered maternity care into a career. 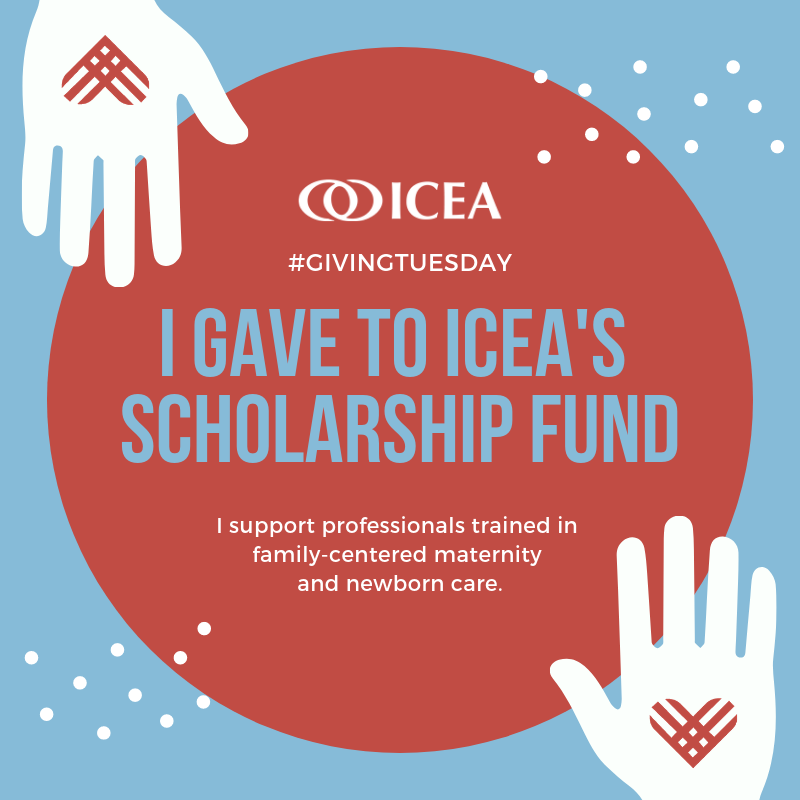 On this #GivingTuesday, help us promote a nurtured world through professionals trained in family-centered maternity and newborn care. 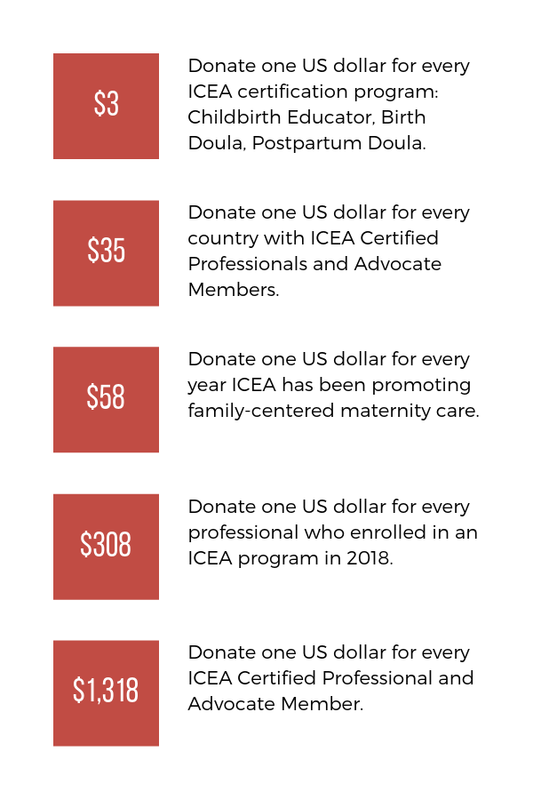 Once you’ve donated, make sure to post this graphic on your social media channels to let everyone know you support professionals trained in family-centered maternity and newborn care.